Many restaurants offer senior discounts or other offers like free drinks, buy-one-get-one-free menu specials, early-bird rates, and unique senior menus. It is important to ask about senior discounts before ordering because the special savings are not always advertised. Restaurant employees are often trained not to suggest the senior discounts or senior menus because of age sensitivity. Therefore, most restaurants will not apply the available senior discounts unless a request is made. When dining at national restaurant chains, it is a good idea to confirm which discounts are offered at a specific location. Many restaurant chains are franchised, and the corporate discount policies may not be mandatory for all locations. The qualifying age varies considerably from one restaurant to the next. 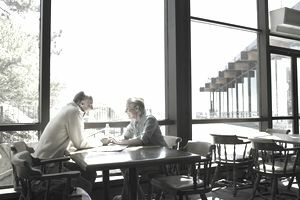 Many of the national chain restaurants offer discounts for adults starting between the ages of 50 to 55, whereas local (non-chain) restaurants tend to offer savings to those who are 60 to 65 years of age and older. Some restaurants require proof of age, such as a driver's license or state identification card. Other restaurants will give the discount to any mature person who asks for it. For those with big appetites, the regular menu may be more to their liking, since items on senior menus are typically served in smaller portions from those ordered off the regular menus. Because the senior meals are discounted, it is always a good idea to tip the amount that you would have given if paying the regular price. If the discount is around 10 percent, add 10 percent to the tip. This is a courtesy to servers who should not be financially penalized for serving discounted meals. The following restaurants offer senior discounts. Keep in mind that these can vary by location or only be in effect only at select sites, so be sure and confirm with the restaurant. A&W Restaurant: 55+. 10% discount. Applebee's: 60+, 10 to 15% discount. Arctic Circle: 55+, 10-15% discount. Ben and Jerry's: 60+, 10% discount. Bob Evans Restaurant: 55+, Senior menu with smaller portions/discounted price. Boston Market: 65+, 10% discount. Burger King: 60+, 10% discount. Captain D's: 62+, Discount on Wednesday and Sunday. Carrows: 55+, Senior menu w/ discounted prices. Chili's Grill & Bar: 55+. 10% discount. Church's Chicken: 65+, 10% discount. CiCi's Pizza: 60+, 10% off or free drink. Country Kitchen: 55+ senior menu or discount. Dairy Queen: 55+, 10% discount or free small drink w/ meal. Del Taco Restaurants: 55+ 10% discount or a free drink. Denny's: 15% off for AARP members, 55+ senior menu. Dunkin Donuts: AARP members get a free doughnut w/ purchase of large coffee. Einstein's Bagels: 60+ 10% discount on certain items. El Pollo Loco: 60+, 10% discount. Elephant Bar Restaurant: 60+, 20% off orders for Senior Explorer VIP members. Fazoli's: 62+, Senior menu for "Club 62" members. Fuddruckers: 55+. 10% off senior platters. Gatti's Pizza: 50+, special offers on pizza and drinks for seniors. Golden Corral: 60+, discounted meals at specific hours. Hardees: 60+, 10% discount or discounted drink or coffee. Jack in the Box: 55+, 10% to 20% off total purchase. Kentucky Fried Chicken: 55+, up to 10% off purchase. Krispy Kreme Doughnuts: 50+, 10% discount. Long John Silver's: 55+, 10% discount or discounted beverage. McDonald's: 50+, discount on coffee or beverages. Mrs. Fields Cookies: 60+, 10% discount. O'Charley's Restaurant: 60+, 10% discount. Piccadilly Restaurant: 60+, 10% discount w/ Piccadilly Prime Time for Seniors card. Ponderosa Steakhouse: 60+. Discounts or senior menus. Schlotzsky's Deli: 60+, 10% discount. Sonic Drive-In: 60+, 10% discount or discounted drink. Taco Bell: 55+, 10% discount,a free drink or senior discounted drink. Village Inn: 60+ 10% discount, some have senior menus. Wendy's: 55+. 5-10% discount on regular meals or free or discounted drinks. Whataburger: 55+, Free coffee or small drink w/ meal or 10% discount. White Castle: 62+, 10% discount or discounted coffee or drink. Discounts and age requirements may vary depending on the location of the restaurant. Asking before ordering is always a good idea. Look for coupons and special dining offers in the local newspaper, hotel travel magazines, rest stops and state welcome centers, as well as in mailers. There are websites which have discounts for dining at specific restaurants, many of which do not offer senior discounts. Making a reservation or buying a restaurant gift certificate may be required to get a discount. Organizations such as the AARP offer their members a membership card, which can be shown for discounts at several participating restaurants around the country. The low annual fee is quickly reimbursed by those who take advantage of the available discounts. Visit the AARP website for more details. The internet has become an excellent source for finding restaurant coupons. State and city websites designed for visitors and tourists often have printable coupons for local restaurants. Many of the large national restaurant chains now offer printable coupons on their websites, or provide free membership clubs to reward regular patrons points which can be redeemed for discounts or menu items. For a list of restaurants, visit Special Offers and Free Printable Coupons for Restaurants Nationwide. Seniordiscounts.com is an excellent source for seeking senior discounts in specific locations. Visitors can join for a fee and search the site's database by city, state and zip code. If vanity is stopping you from taking advantage of all the great savings, try to get over it. Use the money to pamper yourself or do something fun. Is It Worth Waiting for January White Sales?